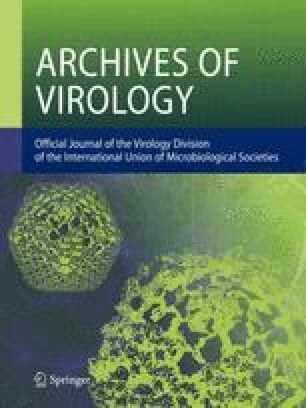 Effects of infection with two different strains of equine herpes virus type 1 (EHV-1; Piber 178/83, Kentucky D) on the cytoskeleton of Vero cells were investigated immunohistochemically, and evaluated by confocal laser scanning microscopy. Twenty four hours post EHV-1 infection the assembly of the microtubulus system of Vero cells was heavily disturbed. The Golgi region was dispersed into vesicles spread throughout the cytoplasm as demonstrated by WGA lectin binding. Other cytoskeletal elements such as cytokeratin, vimentin, and filamentous actin (F-actin) were not affected by EHV-1 infection. The nature of Vero cell death after EHV-1 infection was investigated by three different methods to include all possible stages of apoptosis. All methods failed to demonstrate characteristic apoptotic features, therefore, it seems likely that necrosis is the predominant way of cell death in EHV-1 infected Vero cells.